"Dr. Karp took the time to figure out what was going on with me and identified several underlying conditions that contributed to my illness. I suffered for a long time with most doctors just giving prescriptions. He gave me the right combination of medication to get my health under control and address the other issues that contributed to my illness. Dr. Karp is truly amazing and has made my life livable again." "I recommend this doctor to my sister"
"I have recommended Dr. Karp to others and whenever I need to a different specialist, Dr. Karp is one of the doctors that I look to for a recommendation. He also helped to diagnosis me and refer to me a physician that could treat my issue when no other doctor was able to figure out what was happening to me." "Dr Karp is one of the finest, most intuitive and caring doctor that I have had the luck to find." "I have and will continue to recommend Dr. Karp." "Dr. Karp was very caring to my health condition. He spent a long time explaining ways that can help my condition. He is a very good Doctor ." "Dr. Karp is awesome. He is very kind, attentive & makes me feel very comfortable. " "What can I say about Dr. Karp other than he is a very fine man and an excellent physician. I consider my life blessed to have Dr. Karp for my physician. I am grateful to NorthWell for attracting and retaining such an excellent physician. Office hours are amazing because I can get an early appointment that does not require me to take a vacation day from work. I will follow Dr. Karp, wherever he practices. Also attractive is the excellent Northwell facility where Dr. Karp practices. It is very clean (which is a deciding factor for me when selecting a physician) and the facility offers ample parking (which is less of a factor than the quality of the physician, the quality of the staff and the cleanliness of the office)." "Dr Karp was a great help with my hospital stay as well as being a patient in his office." "Dr Karp is an incredible, compassionate physician. He takes the time to understand your total health and lifestyle"
"I'd highly recommend Dr. Carp. He takes care of my whole family." "Dr. Karp is very caring, confident and knowledgeable physician." "my wife and I liked Dr. Karp very much and would definitely recommend him to others." "Dr. Karp saw me sitting in the waiting room. I had not been able to schedule with him but with the PA. Once the doctor noticed me, he called me in and saw me himself. I have recommended him to many of my friends over the years. I feel he is an outstanding doctor and an outstanding human being." "Dr Karp is an amazing doctor who has given me a new life. He listened to me and eventually figured out what was going on with my health that no one for 30 years has been able to figure out. I recommend him all the time. I love his staff as well." "I was referred to Dr. Karp by a very satisfied friend." "Dr. Karp is an outstanding doctor who really cares about his patients." "Dr. Karp was excellent! He took time to talk to me and really listened to what I was saying, unlike many other doctors." "Dr. Karp is a caring and knowledgeable physician who treats his patients as total human beings, not just a pair of lungs..."
"I send everyone for Dr. Karp's care! He is knowledgeable and genuinely concerned about my health!" "Dr. Karp & his staff are very professional & do all they can to make the patients comfortable & better. " "I have recommended this dr to my best friend for her Mom. I continue to recommend this dr. Wish he could be my internist. Gives u the time & attention u need"
"Dr Karp is the best." "I feel 10000% comfortable with dr. Karp and his knowledge, caring and professionalism. He's making me feel better and its changing my life!!" "in all just a good day"
"Dr. Karp is very professional & caring & knowledgeable in his profession & would absolutely recommend him to my friends & family." "I have been a patient of Dr. Karp's for about 20 years, I still travel from Southampton to see him; I think that says it all. He is the best and even though I hate driving 70 miles to see him, it is worth the trip." "Dr karp is personable and extremely knowledgeable he has been proactive in helping me since I have been a patient"
"Dr. Karp is an incredible physician - He takes his time to really understand the whole patient and is extremely dedicated to helping you find the best treatment options." "Dr. Karp is the very best. A wonderful doctor and caring human being." "I always recommend Dr karp"
"Sr Karp is very professional & knowledgeable & caring. I would absolutely recommend him to my family & friends." "Dr. Karp is the best"
"Dr Karp has been treating me since 2001. He is an excellent, caring physician." "Dr. Karp is always fully engaged and caring. He never rushes but explains all details clearly. An expert in his field!" "Dr. Karp always makes me feel better. Very knowledgeable & up on the latest advancements in pulmonary medicine. " "I have recommended Dr. Karp to several people." "3 generations of my family have used Dr Karp over the past 20 years. He has a wonderful bedside manner and a calm and compassionate demeanor, whether in the office or at bedside in the hospital." "Lots of confidence in the doctor!" "actually has a "scribe" taking notes so that the dr. can look at you rather than a computer during the visit. got up out of the chair twice to demonstrate different methods.would have liked him to slow down a bit." "dr karp I believe he saving my life"
"Dr. Karp is the finest doctor by every measure I know." "Dr. Karp is an amazing man. I just worry that he works too hard. I would like to see him slow down a bit. Having access to this quality of care is a gift from God! Thank you for providing excellent medical care." "Dr. Karp, is very professional, knowledgeable and caring physician and I would definitely recommend him to my family and friends"
"Dr. Karp was excellent. He reviewed medical history, asked a number of questions, answered my questions well, and provided a course of care that I already am feeling benefit from." "Dr Karp is the best! I drive almost an hour each way to see him." "Dr Karp is extremely patient and truly seeks to understand your total health profile. Very responsive to questions and concerns. Always is available." "the care provider was excelent"
"Dr. Karp is an exceptional doctor. Not only does he spend time with me without rushing me, he anticipates my needs and alleviates any anxieties I may experience. My nickname for Dr. Karp is "Dr. House" as he always comes up with solutions and recommendations." "Dr Karp is the best! He explains my concerns away every visit. I have recommended him many times and a few have become his patients"
"Dr Karp Has been my doctor for a number of years. I have complete trust in his recommendations based on my needs. in addition I've recommended him to a number of my friends." "Dr Karp is an exceptional doctor and human being. He always give you time and advice to make things easier. We are blessed to have the opportunity to have a medical doctor such as him." "excellent physician and I am in healthcare ( retired oral surgeon )"
"Dr. Karp is the best!" "been coming for years and never changed"
"Always goes above & beyond." "I have total confidence in Dr. Karp. My health has improved a great deal since I've been under his care." "Dr Karp and staff are all amazing !Thorough, professional and kind!!" "I have recommended Dr. Karp to many of my colleagues over the years and they are still with him." "I would recommend. Dr. Karp to all my friends. He is a great doc. and cares very much about his patient." "i have been a patient if Dr. Karp's for over 15 years. Have recommended him to many"
"sometimes the doctor is too rushed....not always"
"Dr. Karp took phone calls about other patients while I was in his office. I felt like my time was not valued. I was very disappointed." "Dr. Karp is the best. Highly recommend"
"Dr. Karp is a very caring & concerned doctor. Always takes time to listen." "Dr. Karp is an excellent doctor. Hardly ever have to wait to see doctor. Refreshing in this day and age of waiting to see doctors could be hours." "I look forward to my appointment with dr. karp. the office runs smoothly, I never have to wait. I feel it's one of the best offices I go to. I highly recommend Dr Karp. he is attentive, having a scribe so he can speak directly to me his patient. he is caring, extremely knowledgeable about many aspects of my care. he is an exemplary physician." "Dr. Karp is an exceptional doctor who truly cares about me and my health. I had thrush on my tongue 2 days later & I called the office & he called me back immediately. He called in medication..."
"Dr. Karp is the best pulmonary doctor I have had (and I had a few good ones). Bedside manner AND skills are the best"
"I was really impressed with Dr. Karp!" "Dr. Karp is a caring, knowledgeable, sensitive and an incredibly warm professional. Medicine needs many more Dr. Karp's." "I have full confidence in Dr Karp. he's the best doctor I have!" "Dr. Karp is very professional and knowledgeable and caring in my medical needs. I trust his advice with dealing with my medical issues. I would absolutely recommend his to my friends and family." "Dr. Karp is a wonderful asset to your organization. He explains things very clearly. He is a true physician in the fullest sense." "If doc Karp has time while I get my shot and I have questions he is always available to talk to me"
"I have always recommended Dr. Karp to others because he is amazing"
"An excellent practitioner; always willing to be helpful; always concerned." "I am grateful for the gift of Dr. Jason Karp. He is the consummate professional and caring physician, who treats the whole person - not just one issue. I am fully confident in his up-to-date knowledge of healing methods. My only issue is that at times it is difficult to reach the office via telephone." "always wonderful. I've recommended Dr. Karp to countless people." "Have recommended Dr. Karp to others." "Dr. Karp is an excellent and caring Doctor"
"Doctor and nursing staff were excellent." "I already have recommended people"
"first time with Dr Karp, and he was above and beyond in his knowledge, care, and expertise"
"I have recommended Dr. Karp to others." "I have referred many of my own patients to Dr. Karp. He is easy to speak with, approachable for questions and thorough about answering questions I bring or fax in." "Dr. Karp is the BEST!! He is thorough, knowledgeable about so much & sympathetic.I'm privileged to have such a caring doctor." "have been a pt of Dr. Karp for years. 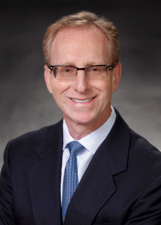 He is am excellent practitioner and a very kind person"
"Dr. Karp is clear & concise - helpful." "Dr. Karp is an exceptional doctor and I have already recommended him several times." "Awesome Doctor! Extremely caring and patient. He takes a holistic approach to treating you." "great professional and made me seem special"
"When you are under the care of Dr. Karp you have peace of mind that you will not only get better, but stay better." "I've used Dr. Karp for years and have recommended him many times. My friends and family all like him." "I would absolutely recommend Dr. Karp to all my family and friends. He is very knowledgeable, professional and courteous in his practice. I would always follow his suggestions and advice." "excellent physician. would highly recommend." "Dr. Karp was terrific. The attention to detail and true caring really makes you feel that this is the absolute best care you could possibly get." "Couldn't ask for a better physician." "I have been a patient of Dr. Karp's for many years." "Dr. Karp is a great doctor, professional and compassionate. He is very thorough and takes time to listen to my concerns. Dr. Karp explains everything and is sincerely concerned about his patients well being." "I am extremely Happy with Dr. Karp and his staff." "Not only is Dr. Karp an excellent physician but he's kind, caring and truly listens to his patient. I only wish that all my physicians can learn from Dr. Karp." "I think Dr. Karp is the best!" "as a new patient I felt I was given most professional care and attention. Dr. Karp was was clear, direct and thorough in discussing my health issues. I felt most confident him and his staff already recommended to others ,"
"My utmost confidence in Dr. Karp & his staff." "I have recommended Dr. Karp to everyone! He knows his "stuff" and is very easy to speak with about my concerns and medications. He is very observant ans concerned." "I love Dr Karp. I'm very picky about my pulmonologist - I've been let down in the past, and I know a good doctor when I have one - he's one of the best. Ever." "Dr. Karp is a great physician. Wonderful personality. Don't mind making the trip from Long Beach. Well worth the trip. Small world I have a friend that's been a patient of his for years. " "I'm thrilled I came to Dr. Karp. It's 10/18 - nine days after my appointment and I am feeling much much better." "I recommend Dr Karp to all those whom I care about! He is truly a great physician!" "I have gone to Dr. K_____ for years." "Have recommended Dr.Karp to many"
"Dr. Karp is an outstanding physician and provider!" "Have recommended him several times. Know him for a long time as a rheumatologist." "I trust his abilities but sometimes feel he is not really explaining results to me." "Dr Karp is an excellent physician --very conscientious, smart, caring, thorough. He has helped me a lot. He also makes sure the entire office is efficient and the office runs smoothly throughout the entire visit." "Dr. Karp has helped me tremendously since I started seeing him. I have great confidence in him." "great confidence in Dr. Karp. wonderful "bedside " manner." "I have recommended Dr. Karp to several people. I have never been disappointed by him. He thoroughly explains, we talk about prescriptions, etc. Is genuinely always concerned and interested. No matter how busy that office is he always spends adequate time with me and never feel that I was rushed." "I trust dr Karp with my life and I do. I have a systemic life threatening disease"
"Dr. Karp is my favorite doctor; caring, knowledgeable, great bedside manner." "Dr. KARP AND HIS STAFF ARE OUTSTANDING. THE EXPERIENCE IN HIS OFFICE IS ALWAYS POSITIVE." "Absolutely one of the best doctors, if not the best doctor, I have had (I have had many)." "Dr. Karp is very professional and knowledgeable, and caring doctor. I will absolutely recommend him to my friends and family." "excellent professional, easy to speak with and he listens and explains clearly. staff reflects his care and genuine desire to work with you." "Dr. Karp was very much in touch with my care for 7 months while I was hospitalized and in rehab. He saw me every morning while being hospitalized. Reviewed my labs and explained the plans of care at the bedside. He is a "gem" of an attending doctor. Not many of these attending doctor today. I am so grateful and appreciative of his care." "Dr Karp is my cardiologist. " "Dr Karp is the best pulmonary doctor!" "I thought the Dr. was very courteous and listened with respect to my concerns and seemed to be very thorough in his assessment of what was bothering me." "Dr. Karp is a highly skilled, superior physician." "WHY is there nothing higher than VERY GOOD on this survey??? Dr. Karp is beyond Very good. That is an insult. He is a sensational diagnostician with a personality that is like no other. His professionalism is worthy of recognition. ANYONE that has seen him feels the same. Is there nothing better than VERY GOOD??????" "Great doctor and great guy. Period." "I wish all medical practices were run with such efficiency and caring." "Dr. Karp is top notch and I'm grateful for all of his guidance and care over the many years I've been his patient." "I have found Dr. Karp to always listen to what I have to say, to answer any questions I have with complete information (about my condition as well as the reason I am taking certain medications as opposed to others) and to remember what has happened to me even when he is not looking at my chart." "Dr. Karp is a very intelligent Pulmonologist and shows compassion." "Jason Karp is a high quality practitioner." "DOCT. JASON KARP IS AN EXCELLENT DOCTOR VERY RELIABLE AND PROFESSIONAL HE LISTEN AND ANSWERS ALL MY QUESTIONS I WILL RECOMMEND VERY HIGHLY TO ALL MY RELATIVES AND FRIENDS IS ONE OF THE FEW PHYSICIAN THAT TAKE CARE 360 DEGREES ALL MY NEEDS AND HE EXPLAINS VERY CLEARLY ALL THE CONDITIONS. HE DESERVES A RECOGNITION. THANK YOU . GL"
"Dr. Karp and his staff spent as much time with me as I needed." "My wife and I love this doctor. He's a rare breed who I could describe in more exclamatory terms than I probably know how to spell!!" "very appreciative of Dr Karp's time"
"DR. KARP IS VERY PROFESSIONAL AND KNOWLEDGEABLE AND I WOULD DEFINITELY RECOMMEND HIM TO MY FAMILY AND FRIENDS"
"Dr. Karp is an extremely caring doctor. As this was my first visit, he took the time to get to know me and review the medical records with me. He's extremely thorough. I will (and have been!) recommending him to friends and family." "I have reccommended this office to everyone I know!" "phenomenal doctor. I would follow him anywhere. he's smart. kind and right on when it comes to knowing what's wrong"
"Dr. Karp is the best!!!" "Dr. Karp is very personable, respectful and really listens. Very smart and passionate about what he does. My favorite doctor." "I wish the Dr. could manage all my health issues and specialties. Other Dr.'s should learn from him ." "Unfortunately I have had to go there often. Every visit was professional & the best of care!!" "Provider is ideal in all parameters." "Dr. Karp, is a very caring and professional doctor. He is very knowledgeable and explains my issues in language I understand. I would always recommend Dr. Karp to my friends"
"Not only is Dr. Karp an excellent physician, he is an extremely kind and caring man." "very good nice and clean"
"The dr. is very polite & very helpful in helping the concerns of the patients _____ giving the medicine to help the patient. Dr. Karp is a very good dr. & I always know that I will feel better when I get his help." "dr. Karp is my pulmonologist, he is the best. he or his nurse call me the same day my test results are available to him." "fabulous doctor. recommended to family and friends"
"Dr Karp has always shown concern in my care (a rather complex medical issue,) and has always sought out alternative methods to dealing with my situation. This provider does not isolate one issue, but seeks to find a whole-body connection. He is one amazing physician, and individual." "Dr Karp is compassionate,caring and thorough"
"Dr. Karp has an easy going, caring manner. He never fails to listen to my concerns or answer my questions." "great provider. happy my cardiologist recommended him"
"Everyone gave me all the attention I needed and more." "I have recommended Dr. Karp to family members and they too were very satisfied." "Dr. Karp is an excellent physician!!!" "I fee as if someone finally listened to me." "Dr. Karl is outstanding. I want my son to see him now"
"An excellent experience in every way!" "Was there for me at all times." "I am thrilled with my choice of Dr Jason Karp as the newest dr in my life. He was highly recommended by several friends, one of which is a nurse who worked at North Shore Hospital for years, His office is 20 minutes from my home and all my other drs have privileges at Winthrop Hospital but Dr Karp is the right dr for my chronic lung disease needs." "Dr. Karp is an excellent doctor with great bedside manners." "I literally trust Dr. Karp with my life. as far as I'm concerned , he's irreplaceable ." "I have recommended Dr. Karp to many of my friends and co- workers, and they gave all thanked me profusely!" "Dr. Karp is a very nice Doctor. He is always very pleasant and knowledgeable." "I always leave Dr. Karp's office feeling optimistic." "TIME SPENT WITH THE PROVIDER COULD BE IMPROVED, BUT I UNDERSTAND THE TIME RESTRAINTS PUT UPON THEM." "Dr. Karp is concerned about your overall well-being." "northwell health is very fortunate to have Dr. Karp as a member if it's physician network. in my opinion, he represents the very best!!" "Dr. Karp is one of the best doctors I have ever seen; more than qualified and respectful. Spends necessary time and is very patient. His staff reflects his values." "I HAVE RECOMMENDED DR. KARP TO OTHRERS"
"Dr. Karp demonstrates how to use new inhalers which is awesome since I am a visual learner." "Friends to whom I have recommended Dr. Karp also think very highly of him." "felt very comfortable excellent Doctor"
"Dr Karp is thorough, professional, knowledgeable and listens to complaints and answers questions in understandable language." "I have recommended Dr Karp to many friends. He never rushes you out of the office." "My wife & I followed Dr. Karp from his other office." "My wife and I love Dr. Karp. I am alive today because of the diligence of Dr. Karp. He is professional, capable & compassionate. #1. Dr. Jason Karp." "My first visit with Dr. Karp and I already feel better on my new medications." "I have been going to Dr. Karp for many years and he is wonderful...always there to give you the best care and talk about any and all health concerns." "Dr. Karp, as I said before, is the best doctor who cares for me." "All moved along smoothly, minimal downtime, a 99.9% excellent experience!" "Dr. Karp is an exceptional dr. His staff is wonderful. No one rushes u out of the office. Everything is explained to u that u understand. He is more or less on schedule with his patients and takes his time with each one. If he is running behind schedule, which can sometimes happen, a staff member comes out and informs u. The whole office staff is wonderful and efficient." "Excellent physician. Knows his patients needs. Have recommended him to varies friends & family." "Dr. Karp is wonderful. I have been going to him for years and years and he is kind and always takes the time to make sure that everything is checked out..."
"Dr. Karp explained every detail of my CT scan and put me at ease." "I have always had complete respect for this doctor. This is the first time I felt rushed and the doctor spent more time looking at the computer monitor when speaking to me than directing talk to me. Very disappointed." "First visit, tests were performed in the office, evaluated and a tentative dx was made and discussion and treatment provided. Follow up appt made for evaluation. This was more than expected at the first visit, but very much appreciated." "Dr. Karp is absolutely wonderful!" "Dr. Karp is an excellent physician, well informed and gentle provider." "He's an excellent doctor who care a lot about his patients health. He cares." "Excellent physician. Knowledgeable & cares deeply about his patients & is up on the latest information." "Dr. Karp spent close to an hour talking to me and explaining my problem and my treatment." "Dr. Karp & staff are great. It's a pleasure to go here." "Excellent doctor - explains medical condition clearly." "Excellent provider in all respects/my husband will be a future patient of Dr. Karp."